Anaheim Ducks - May look to deal their defensive depth for help on the wings. Shane Doan and Gabriel Landeskog are rumoured possibilities. Getting calls on prospect blueliners Shea Theodore, Brad Montour and Jacob Larsson, as well as veteran Sami Vatanen. Arizona Coyotes - Full on sell mode in Arizona. Martin Hanzal, Radim Vrbata and Michael Stone will be prime deadline assets. Montreal and St. Louis seem most interested in Hanzal at the moment. The three California teams have expressed interest in Doan. 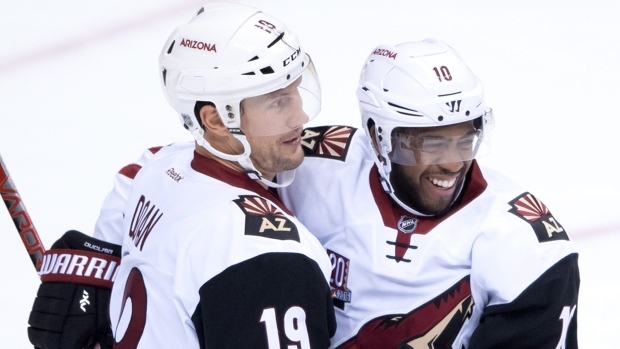 Anthony Duclair has generated some interest, but the Coyotes aren't likely to short sell him. 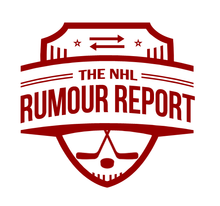 Have made inquiries on Kevin Shattenkirk, Matt Duchene, Jacob Trouba and Dougie Hamilton. Calgary Flames - With no goalies under contract beyond this season, the Flames may look to the trade market for an upgrade - Ben Bishop, Jimmy Howard and Marc-Andre Fleury are rumoured possibilities. Teams continue to inquire about Dougie Hamilton, but trading Kris Versteeg, Dennis Wideman and Deryk Engelland seem more likely if the Flames are in fact sellers. Edmonton Oilers - For the first time in what seems like eons, the Oilers are likely buyers at this year's deadline. The team will continue its quest to add top defencemen, and this may include Kevin Shattenkirk. Acquiring a veteran backup goalie to give Cam Talbot a rest would be ideal. Clubs around the NHL will continue to inquire on Jordan Eberle and Ryan Nugent-Hopkins, but both are likely stay put for the time being. Los Angeles Kings - Interested in Gabriel Landeskog and Shane Doan, among others. If Quick isn't ready to go, expect them to dip into the goalie market: Andrew Hammond, Steve Mason, Ondrej Pavelec and Reto Berra are rumoured possibilities. Teddy Purcell wants a chance with another NHL team and the Kings may look to give him that. Defensive prospect Paul LaDue is allegedly being dangled as trade bait. San Jose Sharks - Have kicked tires on Ryan Spooner, Shane Doan and Kevin Shattenkirk. Looking around the league for a backup goalie as well - Hammond's name has come up. Vancouver Canucks - Would like to get a bit more scoring and are rumoured to be dangling their blueline depth - Ben Hutton's name has often come up. If the Canucks do become sellers, Ryan Miller, Jannik Hansen and Alex Burrows could be on the way out. Vegas Golden Knights - Although not fully able to join the trade season frenzy, the Knights can begin making transactions for non-roster players around the deadline (exact date/time unclear). Vegas' trade discussions with other teams could have a serious impact on this year's deadline sellers.